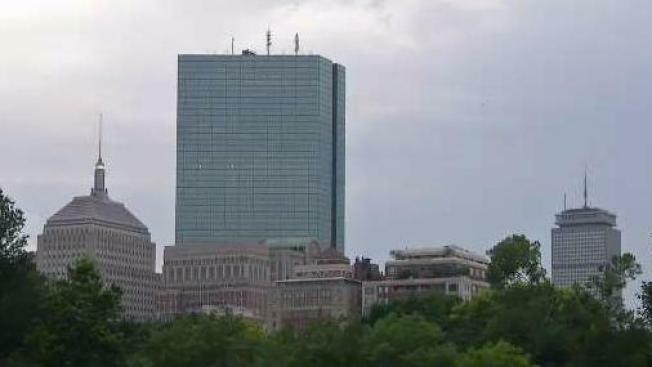 Boston has been named the fifth sweatiest city in the country in a study conducted by the company that makes Honeywell fans. In the midst of a potential heat wave, Boston has been named the fifth sweatiest city in the country. New York is number one, followed by Washington, Chicago and Miami. But for Boston, this is about as hot and humid as it gets. "You can def see people are struggling a little bit, wearing less clothing," said Haley Demos. "They look sweaty and sticky, like you don't want to touch them," another Boston resident, Derrick Reed, said with a smile. "Like, go home and take a shower first and then I'll give you a hug." The study was conducted by the company that makes Honeywell fans, along with Ted Myatt, a scientist from Needham-based Environmental Health and Engineering. Myatt says a number of factors were used including temperature. "It's a densely populated city, a city that uses a lot of public transportation and has a lot of those professions that we characterized as sweaty professions," he said. According to Myatt, they also looked at housing, which pushed Boston up in the rankings this year. Many older homes in the area don't have air conditioner or central air conditioning. Myatt says a Honeywell fan is a good option to create some coolness in your house.